Paperback, 8 x 10 in. / 140 pgs / 170 color. The role of the global architect in society is changing. Instead of waiting for commissions to come their way, architects are initiating and developing practical solutions in response to dramatically changing living conditions in many parts of the world today. Small Scale, Big Change focuses on a central chapter of this shift, presenting recently built or under-construction works in underserved communities around the globe by these 11 architects and firms: Elemental (Chilean); Anna Heringer (Austrian); Diébédo Francis Kéré (Burkinabé); Hashim Sarkis A.L.U.D. 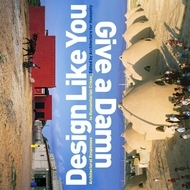 (Lebanese); Jorge Mario Jáuregui (Brazilian); Frédéric Druot, Anne Lacaton & Jean Philippe Vassal (French); Michael Maltzan Architecture (American); Noero Wolff Architects (South African); Rural Studio (American); Estudio Teddy Cruz (American, born Guatemala); and Urban Think Tank (American/Austrian/Venezuelan). Without sacrificing concern for aesthetics, these architects have developed projects that reveal a post-utopian specificity of place; their architectural solutions emerge from close collaboration with future users and sustained research into local conditions. 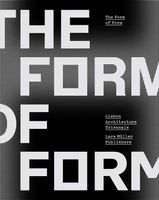 The projects--which include schools, parks, housing and infrastructural interventions--reveal an exciting change in the longstanding dialogue between architecture and society, as the architect's roles, methods, approaches and responsibilities are dramatically reevaluated. They also offer an expanded definition of sustainability that moves beyond experimentation with new materials and technologies to encompass larger concepts of social and economic sustainability. 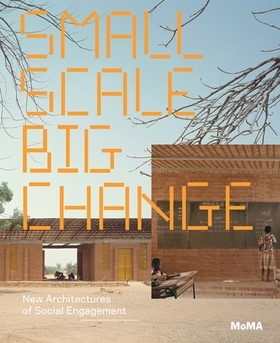 Small Scale, Big Change examines the evolving standards of responsibility and participation in architecture and the ways in which architects can engage critically with larger social, economic and political issues currently facing communities around the world. 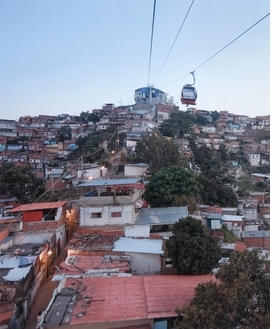 Featured image, the view of Hornos de Cal station in Caracas, Venezuela, is reproduced fromSmall Scale, Big Change: New Architectures of Social Engagement. "The recent global economic crisis has heightened the perception that architecture of the past decades has placed itself too much in the service of economic and political interests and has too little regard for social concerns… Small Scale, Big Change: New Architectures of Social Change presents eleven projects that, taken together, offer a redefining of the architect’s role in responsibility to society… Each project is the result of a dialogue in which the architect cedes parts of his or her authority to others, marking an important departure from the modernist ideal of the architect as a mastermind who designs everything from teapots to entire metropolises. By reevaluating the role they play, these architects are signaling their conviction that good design is not a privilege of the few and the powerful." Andres Lepik, excerpted from Building on Society in Small Scale, Big Change: New Architectures of Social Engagement. FORMAT: Pbk, 8 x 10 in. / 140 pgs / 170 color.